Ramaphosa calls for an end to violence against women - SABC News - Breaking news, special reports, world, business, sport coverage of all South African current events. Africa's news leader. 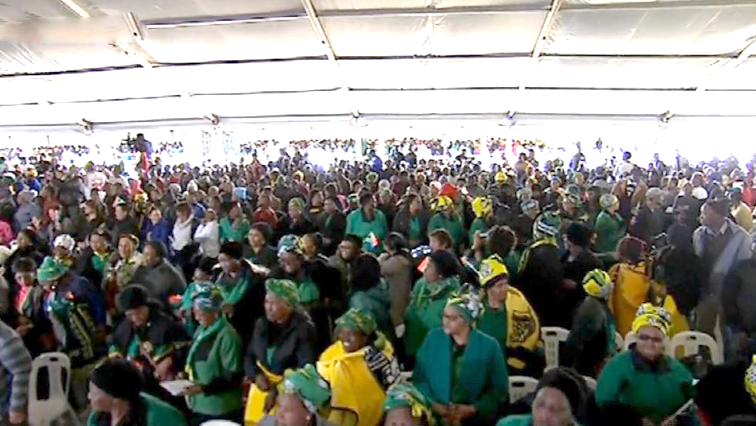 Women’s Day today is about celebrating the achievements of women in fields that they were previously excluded from, that’s the message President Cyril Ramaphosa, who was speaking at the Women’s Day celebrations in Paarl. Violence against women is a societal issue that needs all society to work together to address, the President stated. A small group of protesters briefly disrupted the event, just before President Cyril Ramaphosa can address the crowd. The group of mostly women held up placards calling for an end to farm evictions. They were ushered out and addressed by Rural Development and Land Reform minister Maite Nkoana-Mashabane, who undertook to attend to their matters. This entry was posted on 09 Aug 2018,02:41PM at 2:41 PM and is filed under Politics, News, Homepage Latest Stories Slider. You can follow any responses to this entry through the RSS 2.0 feed. Both comments and pings are currently closed.